You’ve been hearing a lot about the Green New Deal, but you’re wondering what it’s all about? If you want a quick and chatty explainer, check out this video put together by the folks at The Leap, a climate action group. We could live in a country powered entirely by renewable energy, woven together by accessible public transit, in which the jobs and opportunities of this transition are designed to systematically eliminate racial and gender inequality. Caring for one another and caring for the planet could be the economy’s fastest growing sectors. Many more people could have higher wage jobs with fewer work hours, leaving us ample time to enjoy our loved ones and flourish in our communities. 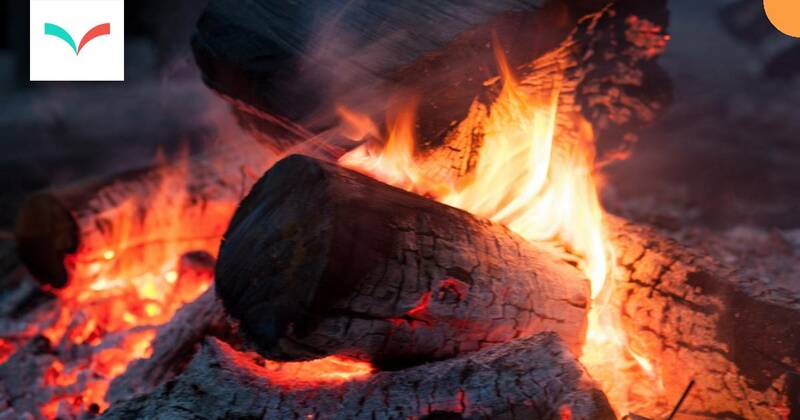 The Anishinaabe prophecy of the 8th Fire, popularized by a 2012 CBC four-part television miniseries hosted by Wab Kinew, was a beginner’s course on the dark colonial origins of the country of Canada based upon the unjust treatment of First Nations. The TV series was intended to portray a hopeful change in the historic relationship between First Nations and Canadians based upon the prophecy of the 8th Fire, a time of reconciliation. For the last 21 years the federal “self-government” policy has set out Canada’s negotiating position with all First Nations. It gives all provinces a veto in any negotiations with First Nations on subject matters that affect provincial jurisdiction or laws. Another dangerous feature of the federal “self-government” policy is that Canada intends to keep for itself all of the real powers of sovereignty and nationhood necessary for sustaining an economy, trade and diplomatic relations with other nations in the world. These are not on the table for negotiations with First Nations. There is no real power sharing contemplated in the federal self -government negotiation process. The only role that Aboriginal groups or “bands” would have under the self-government agreements are “delegated authority” under various federal (and provincial) subject areas. The policy also requires that Aboriginal groups or “bands” raise their “own source revenues,” which is Ottawa’s code for taxation or forms of taxation. Not long after the Globe and Mail broke the story alleging that Justin Trudeau’s PMO had pressured former Justice Minister Jody Wilson-Raybould to interfere in a criminal investigation involving Montreal engineering giant SNC-Lavalin, comparisons were drawn between the former lawyer from the We Wai Kai Nation and her father, Bill Wilson. Wilson-Raybould, who was demoted to the Veterans Affairs portfolio, reportedly refused the order, reminding Canadians that she also comes from a formidable, constitutional-shaping political lineage; Wilson famously sparred with Pierre Trudeau in the 1980s. He remains strongly vocal about Indigenous issues and critical of the federal government’s commitment to reconciliation. The reality is that with Trudeau and this government, reconciliation is more a farce than the Conservatives. On November 13, 2018, just days after Democrats reclaimed the House of Representatives, dozens of young activists filed silently into Representative Nancy Pelosi’s office on Capitol Hill. Some sat down along the walls of the office, unfurling banners and forming a circle. Others stood in the center and told their stories. A teenage woman from Northern California began, “There were fires at my school. There was ash falling from the sky for a week.” She and her companions in the Cannon Office Building that day carried manila envelopes containing pictures of the people and places in their lives that climate change would destroy—or already had. On one side of the envelopes were the words “Dear Democrats”; on the other, “What Is Your Plan?” After some time, they began to sing—the protest songs of another generation, like “Which Side Are You On?,” and new ones they’d written themselves, about waters rising up and people rising, too. Their voices echoed down the marble halls. “The whirlwind” evokes something visceral about what it feels like to be involved in a wave of political upheaval. It disorients, defies gravity, upends things and leaves them in a new place. Momentum is dedicated to movement building. When Ontario Premier Doug Ford claimed the federal government’s carbon tax would cause a recession in Ontario, many economists disagreed. And it seems most regular people do as well. Few Canadians (19%) expect a recession next year. If there were to be one, most (63%) say it would likely have more to do with global economic trends than domestic policies. 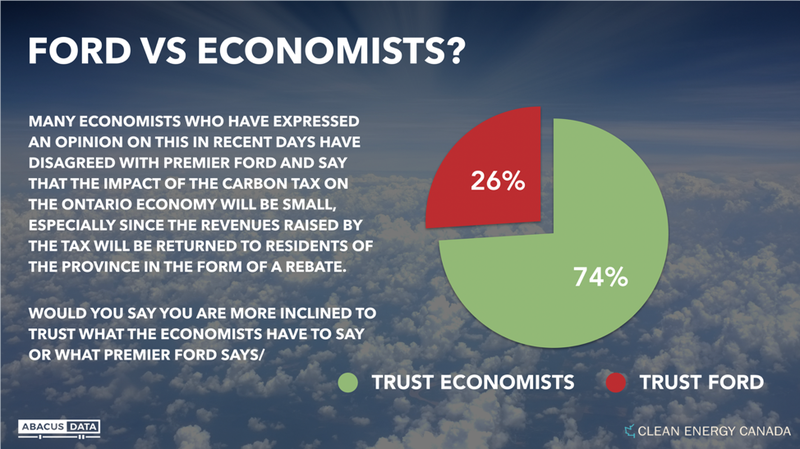 When told Premier Ford warned the federal carbon tax would cause a recession in Ontario, almost two out of three across the country (64%), and in Ontario (63%), disagreed, believing he was overstating the impact. When respondents were presented with a question which noted that many economists had offered a contrary view, namely that the impact of the tax would be too small to cause a recession, even more people (73% in Ontario, 74% across Canada) rejected Mr. Ford’s contention.